Allegra, Manuel & Diego, the Almadi inspiration. 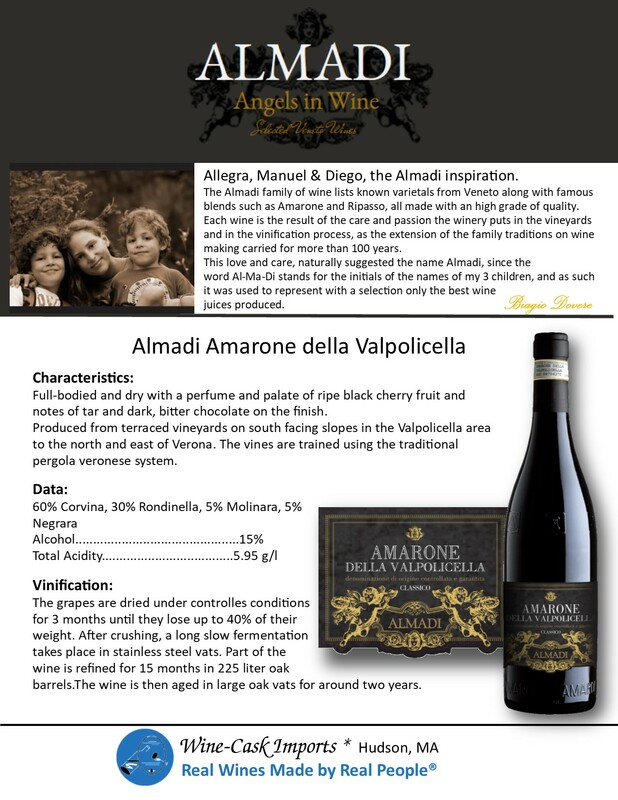 The Almadi family of wine lists known varietals from Veneto along with famous blends such as Amarone and Ripasso, all made with an high grade of quality. 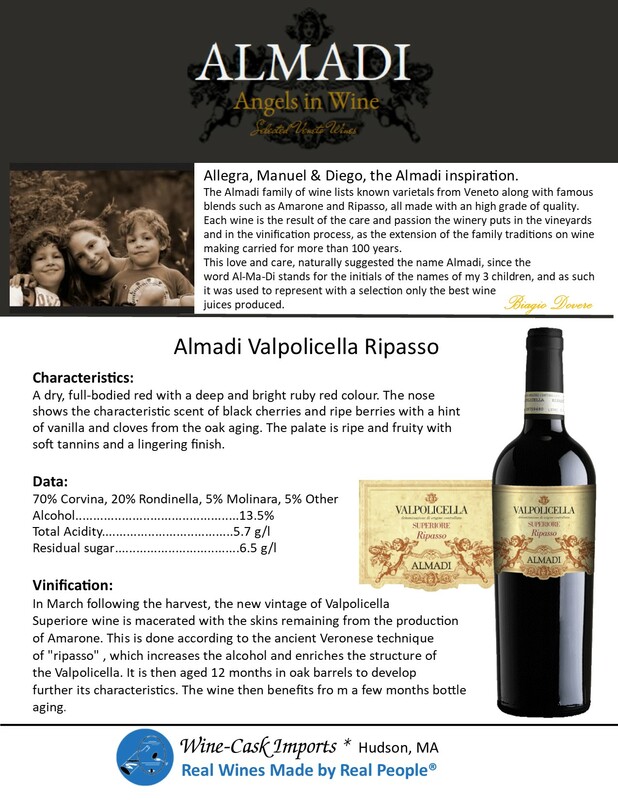 Each wine is the result of the care and passion the winery puts in the vineyards and in the vinification process, as the extension of the family traditions on wine making carried for more than 100 years.